Milan, 18 June 2015 – The “Jewellery Trunk Show” took place yesterday evening: an event dedicated to Fine Jewellery and organised by Vogue Gioiello, in partnership with the most important brand of this industry, so SICIS could not miss it. 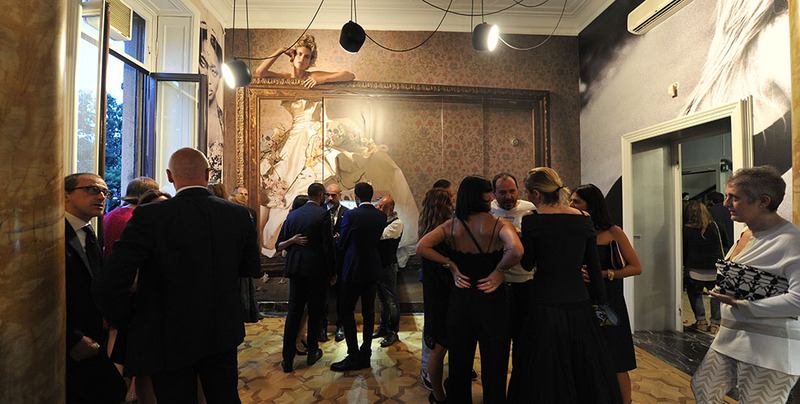 For the occasion a magical itinerary was created: the historic seat of Vogue Italia at Piazza Castello 27. 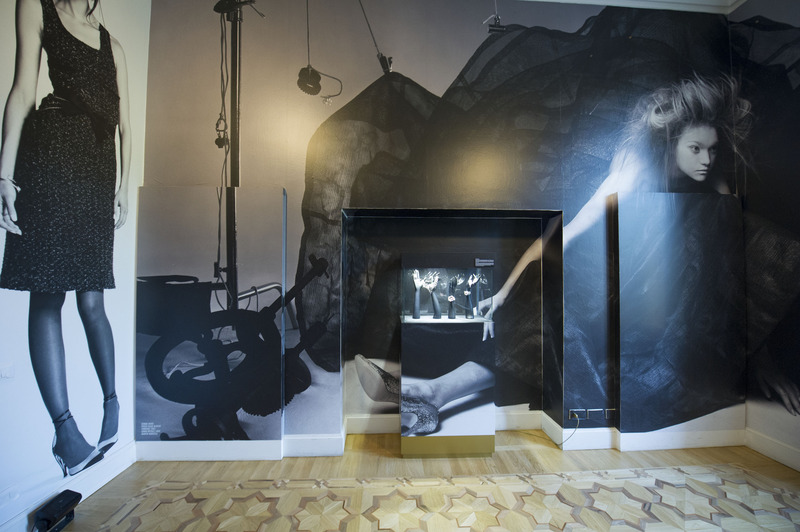 The concept, created entirely by Vogue Gioiello reproduced fabulous living pop-up tableaux, which highlighted the spectacular Vogue images within the venue. SICIS for the first time showed off the new parure Purple Carpet that encloses all the milestones of the Atelier: the tradition of the ancient Art of Micromosaic and a never-ending research. 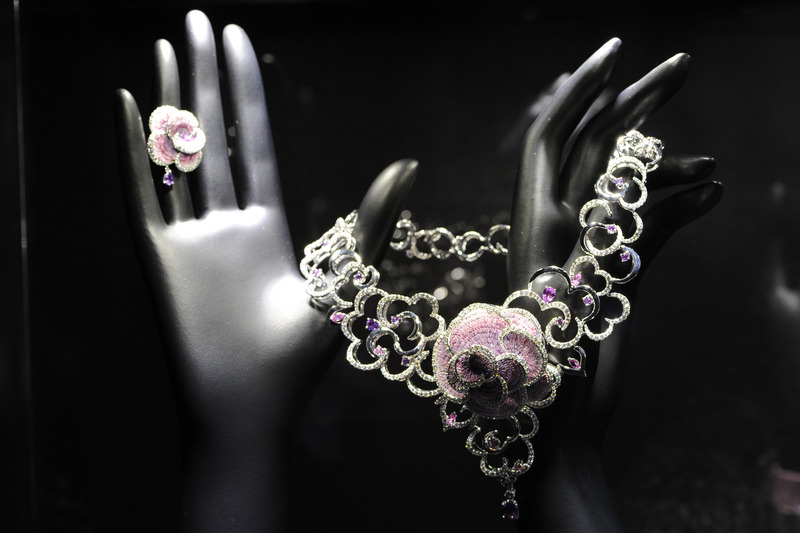 The parure is made of a necklace, earrings, a bracelet and a ring and takes inspiration from the beauty of a unique and simple flower: the rose. This flower hides a fragile beauty that often is used as symbol of the passionate love by poets and writers. Any colors in the literature is linked to a specific meaning so SICIS designers have collected their ideas to give birth to this amazing work of art. The purple rose means beauty and grace. The micromosaic art is surrounded by shining gold, precious gemstones, diamonds, sapphires and rubies, and it was developed through constant research of new and better performing techniques. So SICIS every day improves this ambitious project creating amazing and unique collections of jewels and watches. The passion and the love are so intense that every piece is transformed into a work of art, a flower, a magic and this is possible due to the incredible strenght to overcome everyday what has been conquered until now. Only who strongly believe in a project con do this. SICIS is a factory of artists, mosaic masters, glass makers who create, interpret and believe in this magic.